What did C+D learn from Community Pharmacy Scotland’s first-ever conference? This seemed apt – in July, the Scottish government announced a collaborative primary care strategy, designed to strengthen ties between health professions. With winter on its way, Scotland will face the same pressures as the rest of the UK, with busy emergency departments and GPs looking for help to alleviate demand on their services. It was surprising to see the discussion at the CPS conference touched on the Prescription for Excellence – the Scottish government’s 10-year strategy document for community pharmacy – only infrequently. This central vision for Scottish pharmacy was published three years ago, and it is clear that since then, silos of Scottish pharmacists around the country have galvanised themselves to work on innovative projects in their local communities. The one-day conference packed plenty into a busy agenda – we heard from a pharmacist who is spearheading a pilot scheme in the Forth Valley to prescribe antibiotics for urinary tract and skin infections, while a GP gave his perspective on an initiative to place pharmacists in practices. Professor Rose Marie Parr, Scotland’s chief pharmaceutical officer, kicked off proceedings with an observation. She told the room that pharmacists are “hiding in plain sight”, and her current plan to rework the community pharmacy strategy is an opportunity for the profession to come out from the shadows. “We have been refreshing the Prescription for Excellence this past year,” Professor Parr said, adding that the next version will be “about integrating pharmaceutical care, extending the minor ailments scheme, and supporting GP practices [to] keep them buoyant and safe”. It is clear Professor Parr wants pharmacists throughout Scotland to make their presence felt – whether in a GP surgery or by making sure patients are getting the most out of their medicines. She also emphasised the important role pharmacists can play in making sure patients are cared for in their own homes, if that is what they prefer. She ended with the question: “What can we do to help support people to live better lives with their disease?” Perhaps the answers will have become clear by the time the next CPS conference is held. A point of discussion that came up repeatedly was the national minor ailments service, celebrating its tenth year. 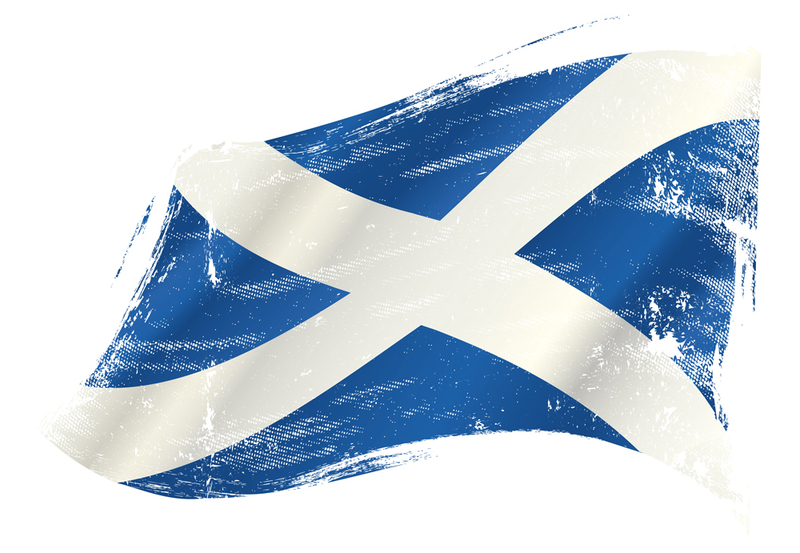 Scottish pharmacy is now in an excellent position to reassess the scheme and in May, the Scottish National Party built on its election promise to “examine a proposal… to make the service universal” by announcing a pilot to grant all patients access. This highlights how woefully behind England is – there is still no national minor ailments equivalent south of the border, despite repeated calls for one. Sinéad Power, representing the primary care division of the Scottish government, gave its view on the minor ailments expansion. She stressed that this universal version of the service, currently being piloted in Inverclyde, needs to be tested and evaluated. The evolution of the minor ailments service was also highlighted by CPS chairman Martin Green, who said expanding it to include a larger number of patients is “long overdue” as there is confusion about who qualifies for the service under the current model. But he warned that opening up access to the scheme would require changes to the current funding model. As well as catching up with fellow pharmacists, delegates benefited from hearing from a wide mix of health professionals. Dr Andrew Buist, deputy chair of the British Medical Association’s (BMA) Scottish GP committee, talked about his experiences as a doctor in a practice pharmacist pilot site. He started his session by admitting to his initial suspicions concerning the scheme. However, he ended by reassuring the room that, having seen the benefits of working closely with a pharmacist, he now wished he could have access to even more of the practice pharmacist’s time – for five days a week, instead of just three. Dr Buist stressed that it is important GPs are freed up to focus on what they are best at – complex care management and making clinical decisions. To this end, pharmacists should take on responsibility for medicines management, public health messages and immunisations. Professor Parr echoed the desire for Scottish pharmacists to get involved in immunisation schemes. But when C+D asked whether Scotland would follow England’s lead and secure a national flu service for pharmacy, she pointed out that this would require a change in legislation. Another area where there is a desire for progress is records access. In 2014, the Scottish government committed to providing community pharmacists with access to the emergency care summary (ECS) record – which contains information about repeat medication and allergies – by 2020. But so far only a few pilots have been progressed, and pharmacists need patient consent each time access is required. Mr Green made it clear that for Scottish pharmacists to work well with other health professionals and provide the best care for their patients, they need to be able to view more patient information. Not having access results in pharmacists “not feeling like equal partners” in the primary care team, he explained. Professor Parr told C+D that she views records access as a “top priority” for the country’s pharmacists and stressed the need to build trust among the multi-professional team. However, information governance and patient safety issues would need to be looked at, she added. As the day drew to a close, the future of community pharmacy in Scotland was raised higher on the agenda. Mr Green spoke to C+D after the session and suggested that the models of care currently being tested by local health boards could help lay the groundwork for future national pharmacy services. Professor Parr also seemed confident the sector will soon enter what she described as “a brave new world”. How would you like to see pharmacy develop in Scotland?